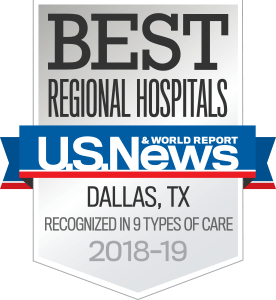 The orthopaedic, sports medicine, and rehabilitation team at UT Southwestern Medical Center at Richardson/Plano provides comprehensive care to help patients achieve the highest possible level of physical, functional, and cognitive independence after an injury or illness that affects the musculoskeletal system. We also a comprehensive multidisciplinary approach to the care of athletes, from recognized professionals to elite amateurs, neighborhood joggers, and everyone who seeks a healthy lifestyle through regular physical activity. Our doctors serve professional and amateur organizations throughout North Texas, as well as numerous school-based sports programs. We work to pinpoint the underlying cause of any injury suffered during training, games, or normal exercise. We can then provide immediate, effective treatment options to manage each patient’s issues. Orthopaedic surgeons, physicians, physical therapists, athletic trainers, and other highly qualified health care specialists are part of our team. Whether providing the most advanced nonsurgical care available or the latest minimally invasive arthroscopic procedure, our specialists are experts in treating sports-related injuries and disorders affecting the bones, joints, and muscles. Patients can rely on an intense depth of experience to treat any type of sports-related disorder.